God works powerfully through everyday people! 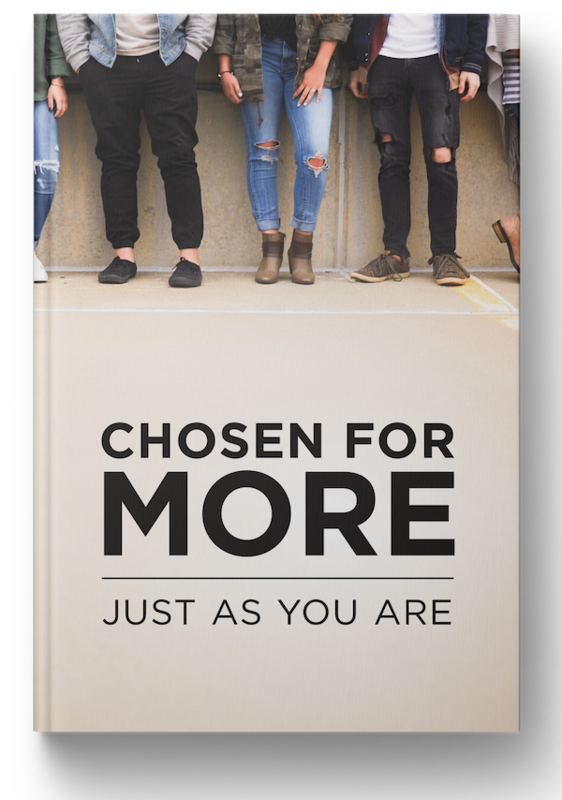 Chosen for More: Just As You Are reviews the ordinary lives of five people in the Bible who dared to come as they were for the God they served. This book will captivate you by reminding you that in our everyday lives, God uses everyday people in powerful ways. As a child of the King, you’ve been chosen for more than you can imagine—and you have all you need in Christ to fulfill the call that he has for your life. Chosen for More is our way to thank you for your support today to help share the timeless truths of God’s Word. So request your copy as our appreciation for gift below. Select which day to schedule your gift. The same amount will be processed monthly on the date selected. No, I prefer not to receive this resource in order to maximize my donation for ministry use. Subscribe to free daily Grace Moment email devotions.